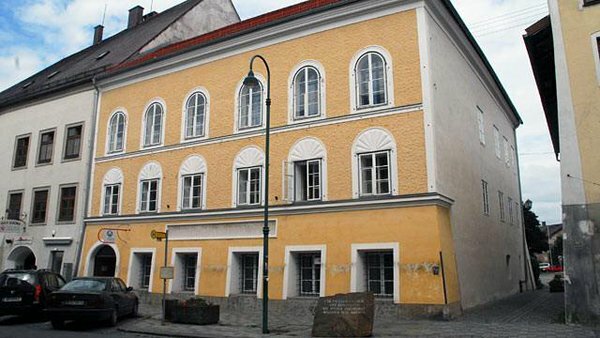 According to the AFP (Agence France-Presse), the Austrian government has enacted their own version of “Eminent domain” to seize the house of Adolf Hitler’s birth for the purpose of putting a stop to it being turned into a Neo-Nazi/Far Right shrine. For those of you that are unaware, Eminent Domain is a governmental law which allows them to seize (usually including compensation, but NOT always) any person’s property for the benefit of the country. For example, a new railway system needs to be put in place, so a government may pay compensation to land owners in order to get the project done. The house has been in the ownership of the same family for over a century and was used as a family home and for rental income until the 60’s and eventually became a home for person’s with disabilities. Most recently, it’s been quite derelict and according to many reports, the owner not only refuses to sell it for the prices being offered, she also refuses to fix and make it liveable. About 5 years ago the disabilities centre shut down and it has since been empty and turning into the town “eyesore”. The good thing is that the house cannot be torn down because it is a registered historic building which is a good thing. I don’t like it when people like to hide history. As bad as it was, it needs to be there. The Austrian government has been trying to obtain ownership of it for quite some time, but unsuccessful due to the refusal of the current owner. The family has been thinking of selling it with an approximate asking price of $2.925 mil USD. The reason is that the house is derelict now and would take up too much investment from them to fix it up. Their last tenants, the disabled groups of people has left for newer facilities. 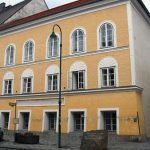 I’ve lived in Austria, still hold residency there and I can tell you that the theoretical asking price is WAY off course. Obviously, the family is well aware of the historical significance and supposedly, the government is afraid that it will fall into the wrong hands. I honestly do not think it’s a big issue….I mean why not enact eminent domain if the wrong person purchases it? Anyway, the government stepped in and will compensate (so far has not done so) the owner with fair market value. I’ve lived in a town of similar size and I can tell you that in TOP condition, that house would go for less than $1,000,000 USD. It makes it even harder to sell for that price since it’s protected property (historical). I would say realistically, 300,000€. It does make you think…is the Austrian government doing this for the right reasons or the wrong reasons? I think it’s more of a selfish move, but are making it seem like they are doing it for the good of the country. They say that this is to protect it from turning into a Neo-Nazi Shrine, but I can tell you that if Neo-Nazis went to Braunau am Inn, they’d be kicked out. No one who lives there wants to talk about what happened and they sure as hell don’t want to be reminded of what happened. The Neo-Nazis would have been physically kicked out of the town. What do I think the real reason is? Well, the far right lost by a near margin and if you were the winning party, what would you do to secure your future? You’d do everything in your power to stop your competition from gaining more supporters. It’s a total political move that kills two birds with one stone making the country more secure and shedding positive light on such a negative topic. Lets see how this plays out. I’ll keep everyone updated. Are they going to seize all of the homes he lived? I’ve seen a lot of them and even his parents and grandparents…are they going to seize those too? Keep you posted! This entry was posted in Article on May 28, 2016 by admin.